1.5", 2" and 3" comes with sleeves. Slide Valves are a fast and effective way to shut off or open pond water flow lines or pipes. They can also be utilized on waste drainage systems. Available in a variety sizes to suit your pipe needs. 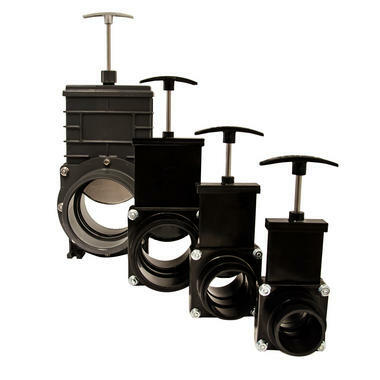 The Slide Valves are o sturdy construction and contain a heavy duty and easy to use valve. The 4" does not come with a sleeve.